Our clients are our best advocates. We customize our services to address unique needs, and this selection of past clients will give you an understanding of the work we have done and the approaches that have delivered success. Provided long-term strategic support to ESPN’s X Games property to capitalize fully on the growth of action sports globally, including the creation of a host city bid process. Conducted a strategic review of the FISU organization, operations and commercial value, as well as developed an overall brand model and positioning. As a result, we provided commercial benchmarking, and recommendations for digital, broadcast and social media communications as well as organizational enhancements. Conducted a comprehensive brand assessment, including stakeholder research and a strategic analysis that led to the delivery of the organization’s new brand positioning. 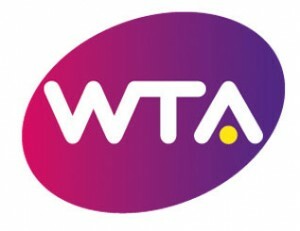 Developed a new global brand concept for the multi-tier tournament schedule for women’s tennis. Developed a new brand model and positioning for the organization and the sport of softball to support the development of a commercial plan and Olympic bid—a precursor to their eventual unification with the International Baseball Federation and creation of the World Baseball Softball Confederation. Supported negotiations of the Olympic TOP Partner Agreement for the Vancouver 2010 Olympic Winter Games and the London 2012 Olympic Games. Supported the development of a global sports strategy to increase brand preference and achieve multi-national business objectives. Developed and conducted knowledge transfer sessions and created a preliminary activation plan in support of their Olympic partnership for the 2012 London Olympic Games. Helped develop Olympic activation program concepts as part of their Olympic partnership for the 2012 London Olympic Games. Conducted a comprehensive assessment of the Olympic Partner opportunity for the Sochi 2014 Olympic Winter Games. As part of their team leading up to their national partnership with the 2010 Vancouver Olympic Winter Games, helped create their hospitality incentive and employee engagement programs as well as their popular Canadian Athlete Family Program. Provided support for the negotiations of their Olympic TOP Program, developed Olympic activation concepts and delivered a monthly Olympic intelligence report. Developed their program brand positioning and concepts for their sponsorship activation leading up to and during the 2014 Sochi Olympic Winter Games. Worked as part of a team of international experts to deliver the bid dossier, develop the brand positioning, provide materials for the inspection visit and support the final presentation for Russia’s successful bid to host the 2018 FIFA™ World Cup. Developed the strategy, speeches, content and show flow for Brasilia’s successful final presentation to FISU, resulting in Brasilia’s upcoming opportunity to host the 2019 World University Games (the Universiade). Helped develop the brand positioning and strategy for the city’s successful bid to host the 2018 Olympic Winter Games. Helped lead the IGF’s campaign to return the sport of Golf to the Olympic Programme after an absence of 102 years. This included assisting with the completion of the IGF Olympic bid program questionnaire, development of the IGF brand model, positioning and talking points, final presentation speech writing and PR support. Helped manage the design, development and execution of the Bid Books and supported the management of the Evaluation Commission visit and Final presentation. After the successful bid, we also developed the Organizing Committee’s marketing and commercial plan, advising on strategic planning, positioning the brand and developing communications and marketing strategies.